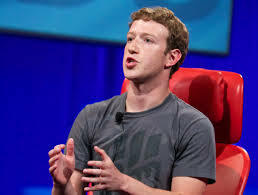 In this day and age with the Internet, Smart phones, Social Media and resources like Quirky.com that can bring your idea to the shelves at Target in as little as four months and 3-D printing that is going where no man has ever gone before, making your First Million has never been easier. Compare the first cell phones to today’s Smart phones. In your hand lies nearly a million dollars’ worth of computing power for nearly free that would have cost you nearly that million just 20 years ago. The world is indeed changing exponentially! And the world will continue to change exponentially in ways we cannot even imagine. So why not shave off a sliver of that change for yourself and change your life in the process? 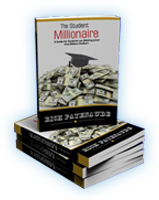 We know that the process to become a Millionaire is the same for anyone at any age. This is what The Student Millionaire teaches you. And we know that the path to your First Million Dollars is just as unique for you as it is for anyone. And we know that this process has a time frame. And 4 Years is a reasonable time to accomplish this. Year One: Acquire, develop and apply the Mindset required to make your First Million Dollars. (This is 80% of the process needed to get there.) Come up with your Million-Dollar Idea. Year Two: Build a foundation and put some legs under your Million-Dollar Idea (e.g. Book, Website, Blog, Social Media, Speaking Engagements, Networking, Manufacturing, Marketing, Coaching, Mentoring, etc.) Experience some breakthroughs. Year Three: Experience some major breakthroughs. Year Four: Wrap it up. Make your first Million Dollars. So what do you say? Are you willing to give this a shot to be free the rest of your life? Isn’t it at least worth a try? Nothing would give me greater satisfaction than running into you some day and have you tell me that you were inspired by The Student Millionaire and it changed your life forever! This entry was posted in Student Millionaire. Bookmark the permalink.